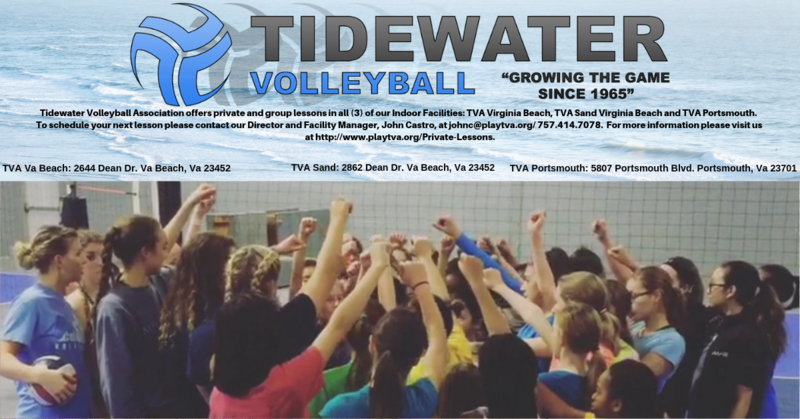 Duke Women's Volleyball Assistant Coach, Fred Chao, comes to Virginia Beach to share his knowledge of the game. "Fred Chao joined the Duke volleyball staff in March 2017 as an assistant coach. His primary responsibilities include aiding in all aspects of student-athlete development, practice planning, scouting, game analysis and recruiting. Chao brought over 20 years of volleyball coaching experience to Durham, serving as the head men’s volleyball coach at George Mason from 1998-2015 while simultaneously working as an assistant coach with the Patriots’ women’s volleyball team from 1998-2004. Chao spent the 2015 & 2016 seasons as an assistant coach with the Virginia Tech volleyball program. A three-time Eastern Intercollegiate Volleyball Association (EIVA) Coach of the Year, Chao guided the George Mason men’s team to 15 consecutive EIVA Championship Tournament appearances. The Patriots advanced to the finals five times and compiled a 246-204 overall record in Chao’s tenure. Prior to taking the helm at George Mason, Chao worked as an assistant women’s coach at the University of Maryland Baltimore County from 1997-98. In addition to his abundant collegiate coaching experience, Chao has worked diligently with youth teams and camps at the local, national and international levels. He coached some of the top boys’ players in the nation at the 2002 USA Volleyball Development Camp and was as an assistant coach with the 2005 USA Junior Men’s National Team, traveling to India for the World Championships. Chao also directed the USA Boys Development Camp and was the head coach of the USA Boys and USA Girls Youth A2 Programs." Coach Chao brings a wealth of knowledge and over 20 years of Division I coaching experience to the table to provide our participants a rewarding and engaging experience. We are excited for this opportunity and hope that it will be one that your child won't forget. Participants will be broken up by grade, evaluated and placed into groups based on age and skill level to provide an enjoyable experience.